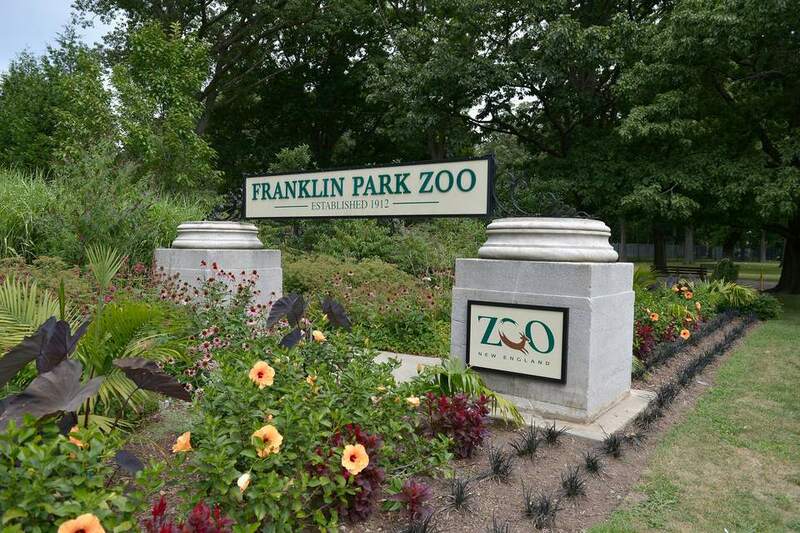 The whole family will love visiting the Franklin Park Zoo, located just four miles from downtown Boston within the city’s historic Franklin Park. The Zoo offers 72 acres home to unique animals visitors can meet and learn about, from lions and tigers, to gorillas, giraffes and kookaburras. Founded in 1912, the City of Boston oversaw the Zoo for 46 years, back when it was referred to as the “crown jewel” of the Emerald Necklace Park System. Today, it’s run by Zoo New England, which was formerly known as the Commonwealth Zoological Corporation, created by legislation passed by Governor William Weld back in 1991. Zoo New England also runs the Stone Zoo, which can be found north of the city in Stoneham, MA. The Franklin Park Zoo offers many different exhibits that will give you a taste of a wide variety of wildlife. During the winter months, head to the Tropical Forest exhibit, which boasts one of the most innovative and intimate indoor gorilla exhibits in the world. Here you’ll also find free-flight tropical birds, a giant anteater, ocelots, pottos, mandrills, tapirs, ring-tailed lemurs and pygmy hippopotamuses. Between the Kalahari Kingdom and Tiger Tales exhibits, you’ll get a taste of lions and tigers. Two lion brothers, Kamaia and Dinari, came to the Franklin Park Zoo back in 2015. When the Zoo’s two tigers, Anala and Luther, were introduced, it was the first time tigers had been part of the Franklin Park Zoo in over 30 years. Through the exhibit, visitors learn about the illegal pet trade and white tigers, an animal that is often misrepresented. Australia may be on the opposite side of the globe, but the Outback Trail will give you a taste of the country’s wildlife. Here you’ll get to hang with kangaroos, emus, sheep and even kookaburras. And if you’re a bird watcher, you’ll love the Bird’s World exhibit, featuring species from all around the world. Introduced in 2018, the Agents of Discovery App is an augmented reality mobile game for kids to use while they’re exploring the Zoo. This interactive app teaches them about biodiversity and how they can do their part to ensure that ecosystems can thrive in the way they’re meant to. The Franklin Park Zoo offers a variety of annual events that will take your experience with the Zoo and animals to the next level. Each May, sponsor Citizens Bank puts on Zootopia, a fundraising gala at the Royal Sonesta Boston in Cambridge, where you’ll enjoy a cocktail reception where guests actually get to meet some of the Zoo’s animals, followed by an auction, dinner and dancing. If you’re looking to give back, this is the perfect opportunity, as all proceeds benefit Zoo New England’s education and youth programs and conservation efforts at both the Franklin Park Zoo and the Stone Zoo. Wine lovers, rejoice! Every June, the Franklin Park Zoo hosts a themed wine tasting event, Uncorked, where wine stands are set up throughout the park to enjoy while you explore. Much like Zootopia, proceeds help support the park’s education and conservation programs. General admission tickets are $50 and the event is for age 21+. If you’re more into beer than wine, come by the Zoo in August for Brew at the Zoo. More than 35 different local breweries, ranging from Harpoon and Sam Adams, to Southie’s Castle Island Brewing Company and Somerville’s Aeronaut Brewing Co., get together for a day of brews and bites to eat. As long as the weather cooperates, you’ll get to enjoy the entire zoo during this event, while hanging with animals such as western lowland gorillas, ring-tailed lemurs, pygmy hippos and more. Franklin Park itself is worth exploring, as it’s Boston’s largest green space with everything from a playground and field, to a sports facility and track. Throughout the year there are also various events to take part in, such as the annual Kite & Bike Festival and the Turkey Trot. On a nice day, pack a picnic for the family and enjoy the scenery. Another outdoor destination is the Arnold Arboretum, located within the Jamaica Plain and Roslindale neighborhoods of Boston. With 265 acres of land filled with paths perfect for a bike ride or walk, you could spend a whole day here. Extra bonus that it’s free and open to the public year-round. If you’re hungry, grab a bite to eat in Dorchester, which is just a few miles away from the Franklin Park Zoo. Dorchester is a neighborhood that’s been up-and-coming for years and now offers a good selection of great restaurants. For upscale bar food and a giant beer list from local breweries, try Lucy’s American Tavern. Or check out 224 Boston Tavern for a menu of contemporary, American cuisine.